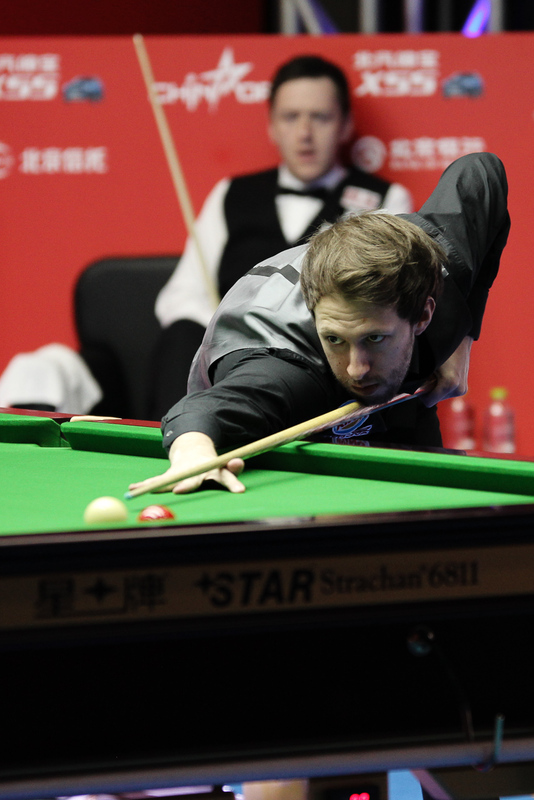 Judd Trump won the BAIC Motor China Open for the second time with an emphatic 10-4 victory over Ricky Walden in the final. Trump landed the fifth ranking title of his career and first since the 2014 Australian Goldfields Open, 21 months ago, by dominating the final in Beijing. The tournament which gave the Bristolian his first ranking title five years ago once again yielded the trophy as well as a cheque for £85,000. World number seven Trump, age 26, played superb snooker throughout the tournament, winning 36 frames and conceding just nine in six matches. 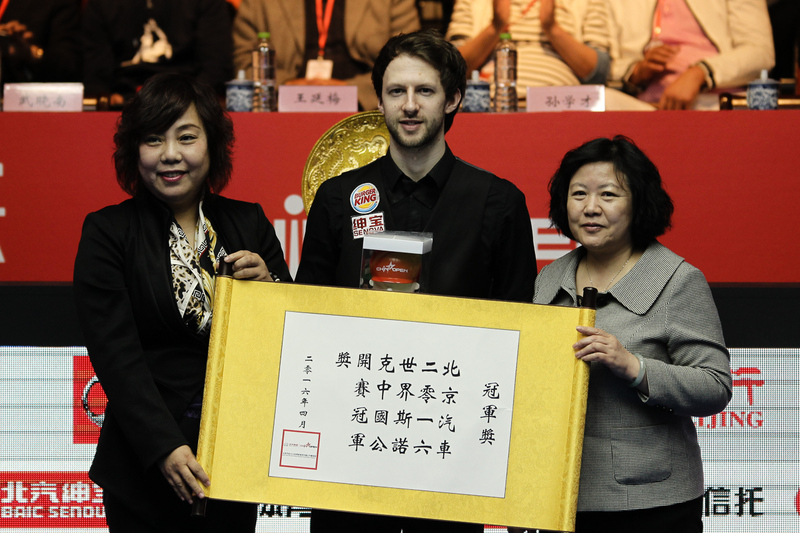 It’s his third ranking title in China, having also won the International Championship in 2012, and makes amends for a shock 10-9 defeat against Kyren Wilson at the Shanghai Masters in September. Left-hander Trump will now go to the World Championship later this month full of confidence, especially having reached the final at the Crucible a few weeks after his first China Open triumph in 2011. Chester’s Walden suffered his second defeat in a ranking event final within a week, having lost 10-6 to Mark Allen at the Players Championship last Sunday. Indeed today’s contest followed a similar pattern as he led 3-1 early on but then lost control. The world number ten banks £35,000 but will be disappointed to have lost a third consecutive ranking final and missed out on a fourth title, the previous three having all come in China. Walden took the opening frame with a break of 71 and cleared from blue to black in the second for 2-0. Trump won a scrappy third before Walden’s 108 made it 3-1. Trump took the fifth with a run of 90 and from that point he dominated, winning a succession of frames on the colours as he went 8-3 ahead. A run of 69 helped extend Trump’s lead, and although Walden pulled one back with a 64 to make it 9-4, there would be no fight back as Trump sealed victory in the next with a 55. “I’m very happy to win this again,” said Trump. “It’s the first time I have won a tournament twice and it gives me a lot of confidence. “I didn’t play well at the start of the match, but from 3-1 down I played better and built a good lead. Ricky struggled today and my safety was better than his. I didn’t play as well as I did earlier in the week but it’s a good result. “Every time I come here I try my hardest. I started well in my first match this week and then kept it up. I was never really in trouble, the hardest game was against Mark King in the quarter-finals when I came from 3-2 down to win 5-3. Otherwise I didn’t drop many frames. Walden said: “It was a difficult game. I didn’t play well all day, I missed too many balls and made too many mistakes. Judd deserved to win and it’s a tough one to take for me, although it’s still a decent week to get to the final. “I started off strong and then from 3-3 I lost momentum very quickly. I lost concentration and lost my way. I was trying my hardest to stick in there but I lost a lot of close frames. It was just one of those days where things went wrong.